It's time for another DIY Dog Treats video! 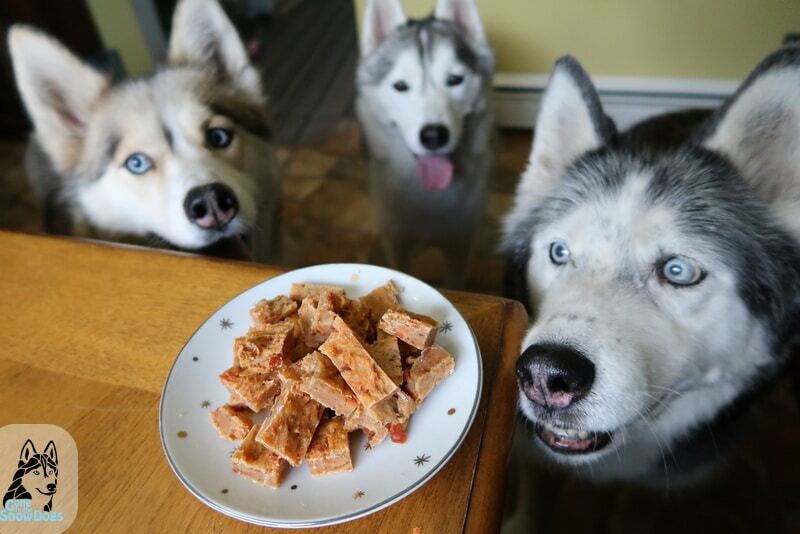 We are making Salmon Brittle Dog treats! 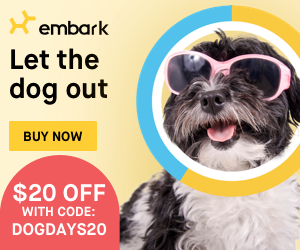 This easy DIY Dog Treat recipe only has three ingredients! How simple is that! These easy fish treats for dogs were a win in our house. Our dog love fish! Preheat your oven to 350 degrees farenheit. In a large bowl, mix together entire can of Salmon (water and all) and then use a fork to flake it apart. You can use two forks to make this process faster. Next, add flour and eggs. Now mash it all together until you have a nice sticky fish mess! Take a cookie sheet and line it with parchment paper. Flatten out the sticky fish mess on the cookie sheet. The thinner the mix, the crunchier the treats will turn out. Back in the oven for around 30 minutes. If your treats are thick, you can use two spatulas and flip the entire thing over and bake for another 15 - 20 minutes to help dry them out a bit more. As soon as they are done, move it to a cooling rack and let it cool. Once cooled you should be able to easily cut or break apart the treats! I cut mine into training treat sized pieces! Store in the refrigerator for up to 3 weeks. 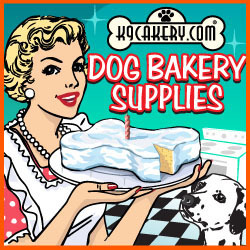 DIY Dog Treats are one of our favorite videos to make. 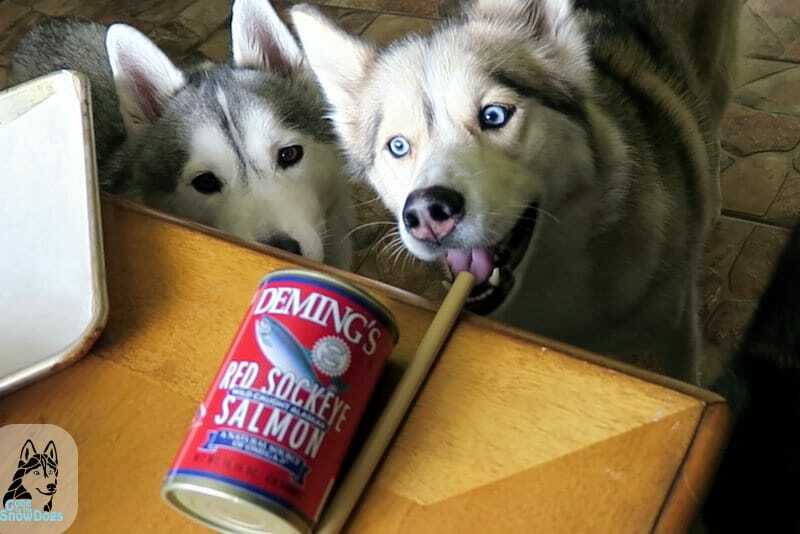 The dogs have so much fun watching and licking the spoons! Don't worry, we wash everything when we are done! 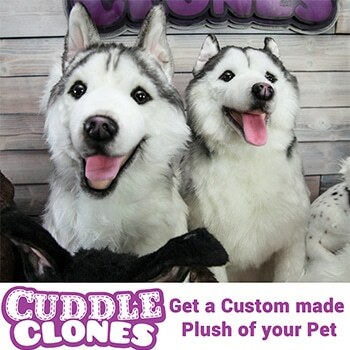 Don't forget to share this with your friends so they can make it with their dogs! Let us know in the comments what type of treat you want us to try making next time! I think they are ready to get snacking! 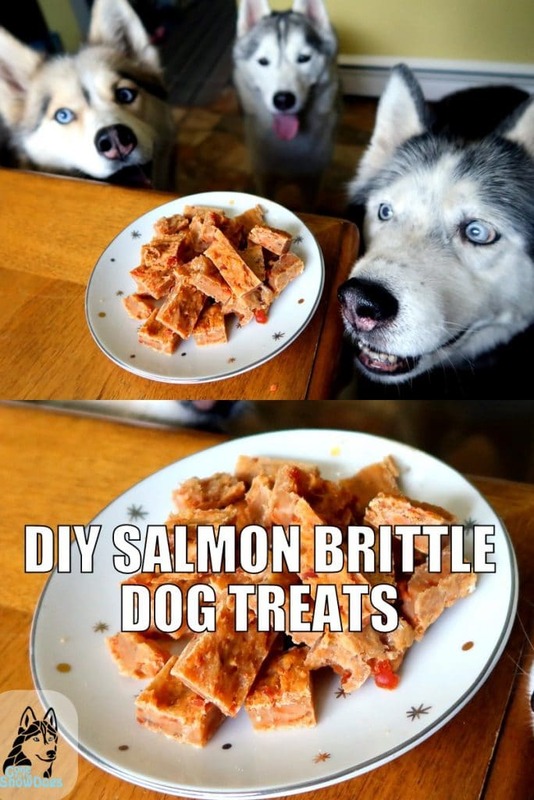 Hey Buddy!, I found this information for you: "DIY DOG TREATS SALMON BRITTLE". 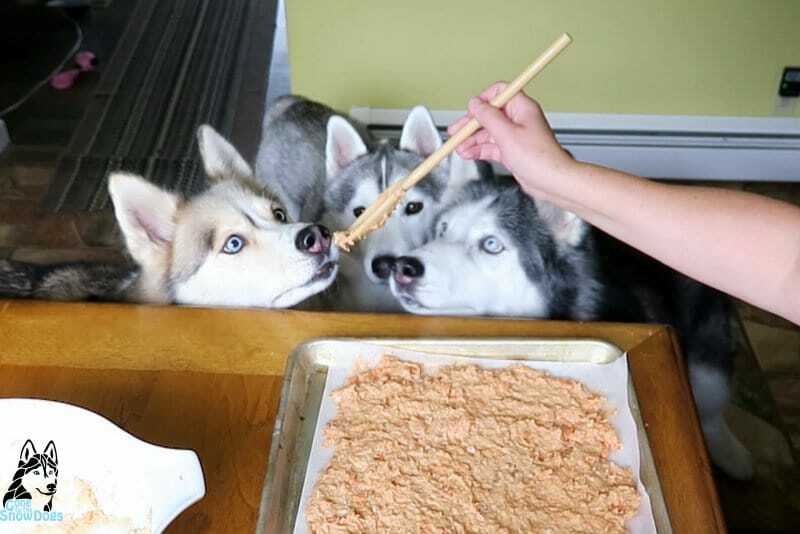 Here is the website link: http://www.gonetothesnowdogs.com/diy-dog-treats-salmon-brittle/. Thank you.